It is imperative that anyone with a vested interest in the development of solar in Illinois participate in this Public Hearing regarding the certification of distributed generation installers. This is your opportunity to voice your opinion on how these rules will affect your business and the growth of solar in Illinois. Anyone from the public may attend and comment. An apprentice or journeyman electrician who has completed a United States Department of Labor Registered Electrical Apprenticeship and Training Program and received a certification of satisfactory completion. The Application fee for certification is $3,000 with an annual recertification report of $500. Penalty for noncompliance is $6,000. Please RSVP to ISEA so we know who will be attending either the Springfield or Chicago meeting. People with renewable energy systems or considering installing one and those who live in communities that have or recently voted for Municipal Aggregation of their electricity will be faced with a term that can be confusing - Renewable Energy Certificates/Credits, often referred to as RECs. All energy production generates at least two outputs. 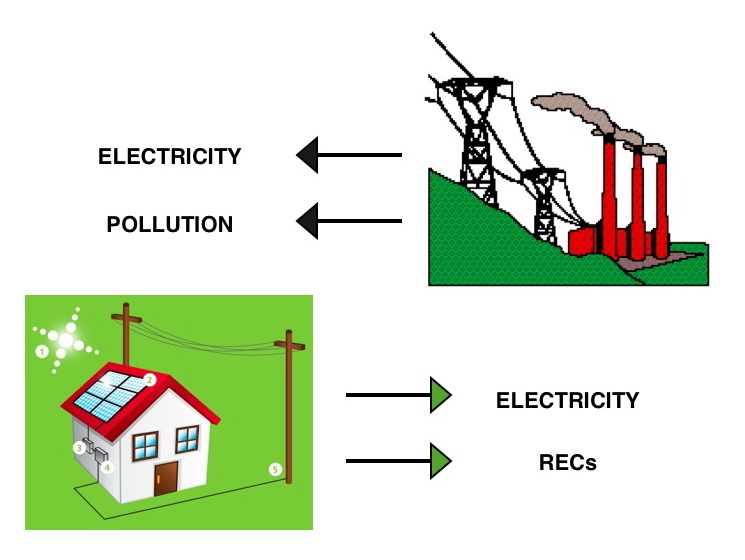 Traditional energy, coal and nuclear, generate electricity and pollution/waste. Renewable energy systems, like solar arrays and wind turbines, generate two outputs as well – electricity and RECs. The RECs are a mechanism developed by the EPA to encourage development of non polluting energy projects. For every 1000 k Wh (1 MWh) of renewable energy produced, one REC is generated. RECs are tradable, marketable commodities that are sold to companies, states, cities, or other entities that have established a Renewable Energy Standard or other commitment to renewable energy. If you travel, you may have seen an option to “green” your travel by purchasing these credits or you may live in a community that offers a “green” energy option for your electricity usage. The sale of RECs provides a revenue stream for solar and wind developers that contribute to the financial viability of a project. Financing will often include a contract of 5-20 years for the RECs produced by the project. REC pricing fluctuates due to supply and demand, but in areas where it is an effective mechanism to spur development, pricing is typically in the $100-$400 range. A project can sell RECs as long as it is operational, so a wind farm that was built 10 years ago can continue to sell the RECs it generates. These RECs provide additional revenue to the project developer, but do not support NEW development and are often sold cheaply. We are already enjoying the environmental benefits of this project and they have already received the revenue to finance, so rather than purchase these “cheap” RECs, consider purchasing RECs from a project that needs the additional revenue in order to be developed. Illinois has a Renewable Portfolio Standard to procure 25% of its energy from renewable sources by 2025. RECs are the mechanism by which the state achieves this percentage. Unfortunately, Illinois does not have an in-state preference, which means they don’t have to purchase RECs from Illinois based solar and wind projects. This hurts the Illinois economy by supporting renewable energy development in other states rather than in Illinois and prevents the reduction of environmental and health problems created by our continued reliance on fossil fuel based energy. So when purchasing RECs, buy Illinois and support new development! DCEO has allocated a budget of $1.5 million to this program. This budget is the same as the last few years. Applications are considered on a first come, first serve basis. No grants will be offered during the 2013 Fiscal Year due to the $3.7 million appropriation to Illinois Green Economy Network which reduced DCEO's budget from $5 million to $1.3 million. DCEO had to work hard to ensure the Rebate Program stayed alive and had comparable funding to past years by adjusting budgets and eliminating the grants. The IL DCEO has announced that there WILL BE a SOLAR & WIND ENERGY REBATE PROGRAM for 2012. It will have less money than 2011, but will still fund solar photovoltaics, solar thermal, and wind installations. Western Area Power Administration (Western) RFP seeking up to 592,618 MWh of eligible renewable energy certificates (RECs) on behalf of various U.S. Department of Energy national laboratories and Environmental Protection Agency. Western is requesting firm, fixed, per-MWh unit price offers for each FY for the transfer of RECs on behalf of any or all of the REC Requestors for terms of each FY beginning FY 2012 through FY 2016. Chicago Department of Aviation (CDA) RFP seeking a developer to finance, design, construct, install, operate, maintain, repair and replace new ground-mounted photovoltaic (PV) systems on a minimum of thirty acres on airport property at Chicago O'Hare International Airport (ORD). The CDA has identified seven potential sites for solar development on ORD property, totaling fifty-two acres. All questions are due July 27, 2012. A complete list of active RFPs can found on our Financial Opportunities page. The solar community was inspired last night at Solar Drinks to galvanize our collective power to establish a sustainable future for solar. Clean Energy Illinois PAC leaders presented their plan to raise money to fund election efforts for candidates that will not only support clean energy legislation but CREATE growth and longevity. Illinois policy has consistently hindered solar development and with this latest hit to the DCEO Solar & Wind Energy Rebate Program by Illinois Green Economy Network (IGEN) combined with the RPS funding issue, the solar community is ready to take action. 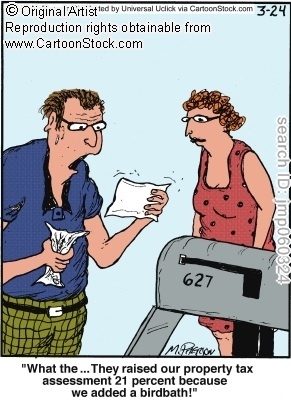 Solar systems should not increase your property taxes according to Property Tax Code § 35 ILCS 200/10-5 et seq. Illinois offers a special assessment for solar ene rgy systems, but you may have to register with a chief county assessment officer or contact your local assessor. Solar energy equipment is valued at no more than a conventional energy system. Eligible equipment includes both active and passive solar-energy systems. Check your property tax bill, and if you feel your assessment increased due to your solar installation, contact your local assessor office who is listed on your tax bill. Your assessor may request a completed State of Illinois PTAX-330 property tax form. • and by being a Solar Ambassador! Just recently several ISEA members have stepped up as Solar Ambassadors sharing their knowledge and enthusiasm for solar with others to expand awareness and support solar development! Peter Gorr was recently recognized by the Illinois Sierra Club for his work educating and influencing municipalities on greening their electric supply! 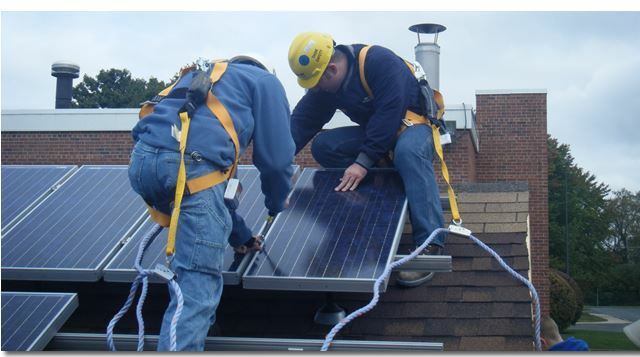 Read about how Peter walks the walk with his own home solar installation. The ISEA will be hosting a Solar Social on August 4th at Peters home. Rich Born, a lifetime ISEA member, educated a gro up of 20 junior high girls from the Northern Illinois University Enhancing Engineering Pathways (NIU-EEP) program about solar on June 14th. Rich is a retired educator who loves to teach and share his enthusiasm for solar. He has a 5 kW photovoltaic system and a Chevy Volt. Susan Tauck and Bill Wawak, who have both participated in the Solar Tour for several years, volunteered to share their renewable energy experiences and installations with 8 teachers who are participating in an Energy and Ag class through the McHenry County Farm Bureau. Both Tauck and Wawak have PV, solar thermal and wind installations. Thank you to these Solar Ambassadors and any others who are sharing their passion for solar with others. Let's continue to spread the word that Illinois is Ready for Solar! Last year during the veto session SB 1652, ComEd Smart Grid, passed and included language regarding net metering. The new net metering language increased eligible system size from the previous 40 kW to 2 MW, but added the caveat of non-competitive customer class in order to qualify for 1:1 kilowatt-hour credit and free net meter installation. On May 30, 2012, SB 3811, passed both houses and succeeded in adding language to protect current and future renewable energy customers' ability to receive a 1:1 kilowatt-hour credit for their overproduction. Now all customer classes that were not declared competitive as of July 1, 2011, both residential and 100 kW peak load customers, are eligible for 1:1 kilowatt-hour credit. Be assured that if you currently net meter and receive a 1:1 kilowatt-hour credit on your bill, are a residential or 100 kW peak load utility customer, then your net metering arrangement will continue. New renewable energy customers who are residential or 100 kW peak load utility customers are also eligible for 1:1 kilowatt-hour net metering. All other customer classes that have been declared competitive are still able to net meter up to a 2 MW size system, but will receive the utilities avoided cost as a credit for over production. Net metering credits roll over month to month, but are annualized in April or October, depending on your agreement. At that time any accumulated credits are erased and go to the utility. An ISEA member and Solar Ambassador recently wrote about this issue, click here to read his blog post. On Thursday, May 31st the Illinois legislature passed the budget which included a $3.7 million appropriation to the Illinois Green Economy Network (IGEN). The money is to be taken from the IL DCEO portion of the Renewable Energy Resources Trust Fund, which typically contains $5 million - a loss of 75% of their funding. The Solar & Wind Energy Rebate program is typically allocated $1.5 million of the $5 million budget, but with only $1.3 million left in the fund after the sweep, it is unlikely to be continued for 2012-13. The ISEA will keep you posted as we learn more from IL DCEO.